Here are some samples of my work, everything shown here has been created by me in my Sonoma County Studio. Follow the Etsy link to see what I have available for purchase. 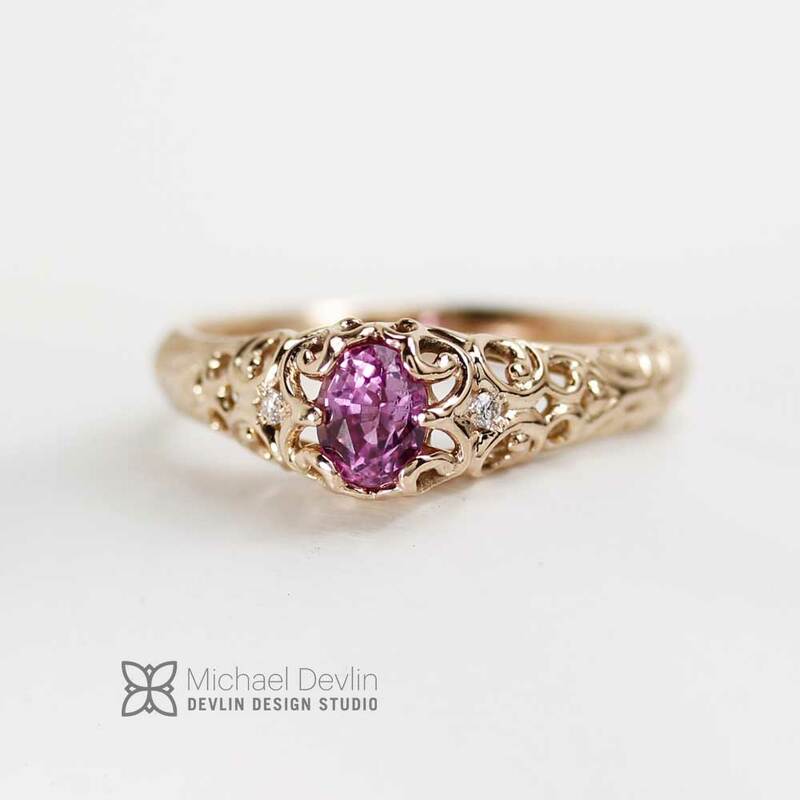 Goldsmith Jewelry Designer Michael Devlin creates original fine jewelry. 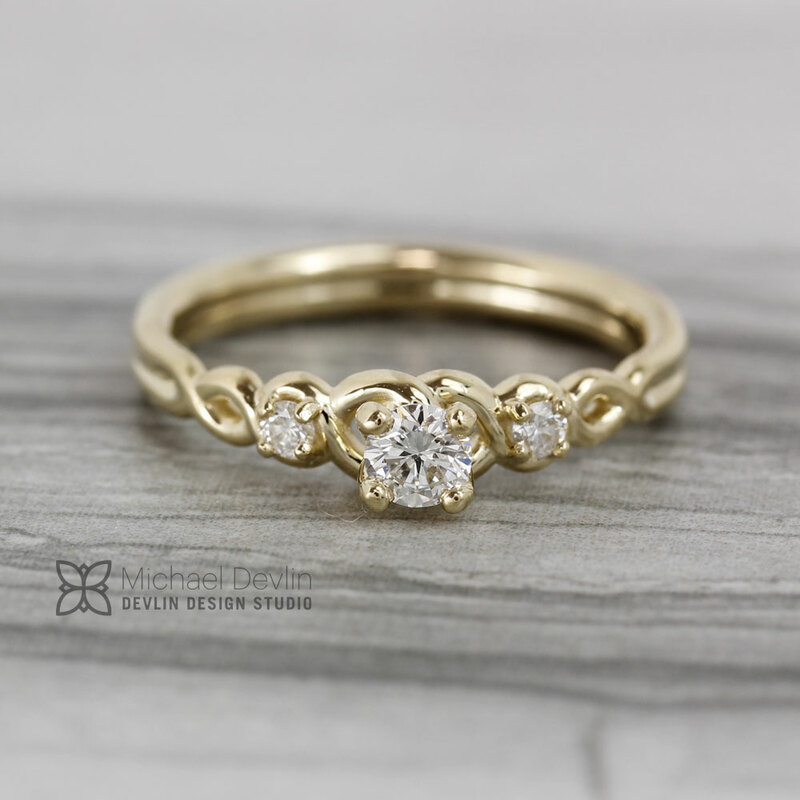 He is able work with you to design and create custom jewelry from start to finish. 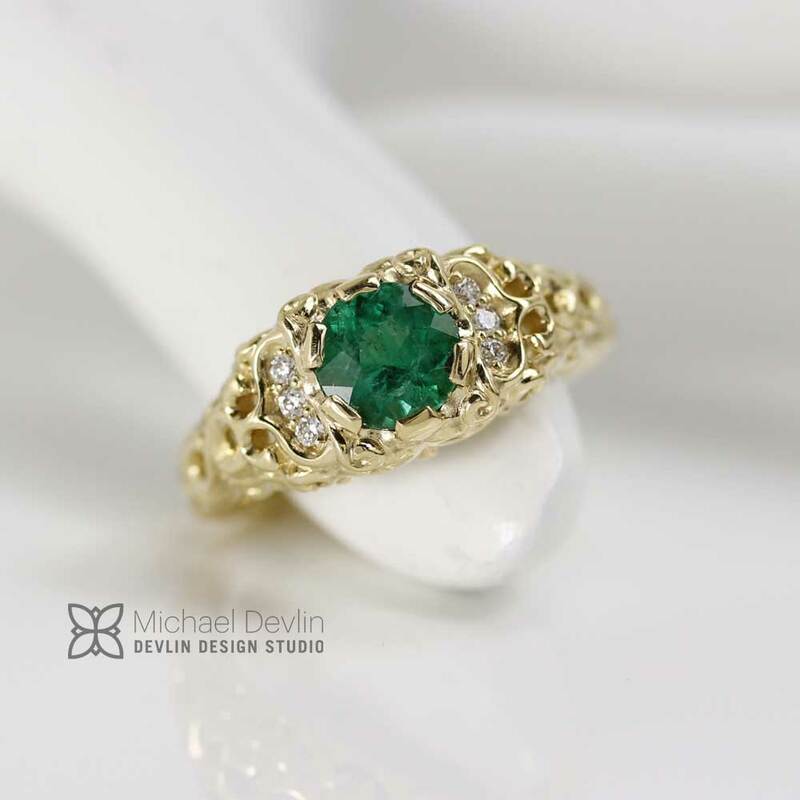 He also has many special pieces available for in studio purchase as well as online through Etsy. 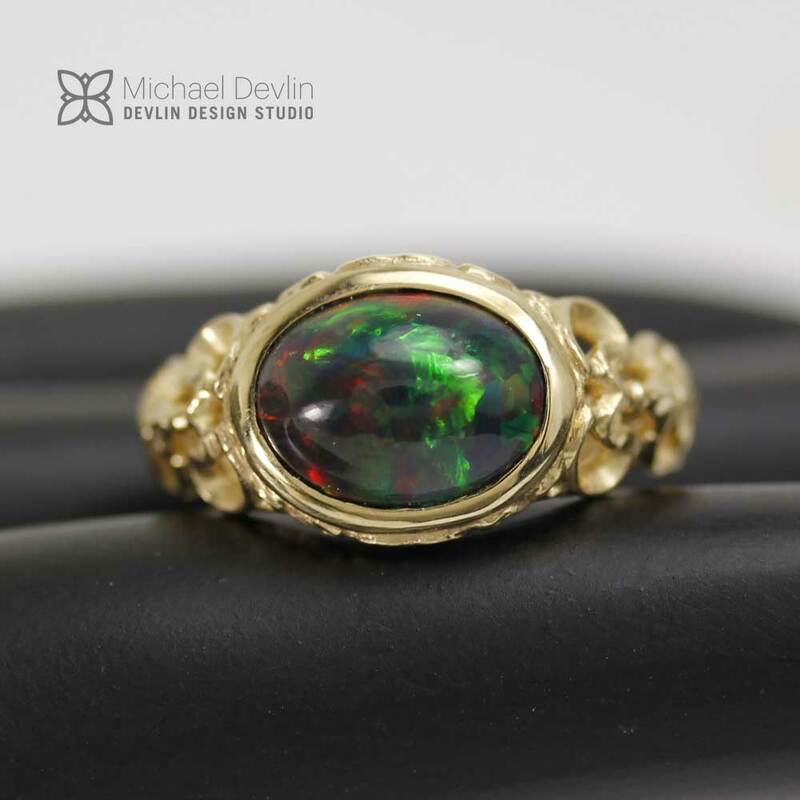 I use traditional techniques as well as the latest in technology to produce custom jewelry and limited edition production jewelry designs. Working with local clients and online clients. Jamie L's "Jamie's Signet Ring"
Michael was extremely patient with me. 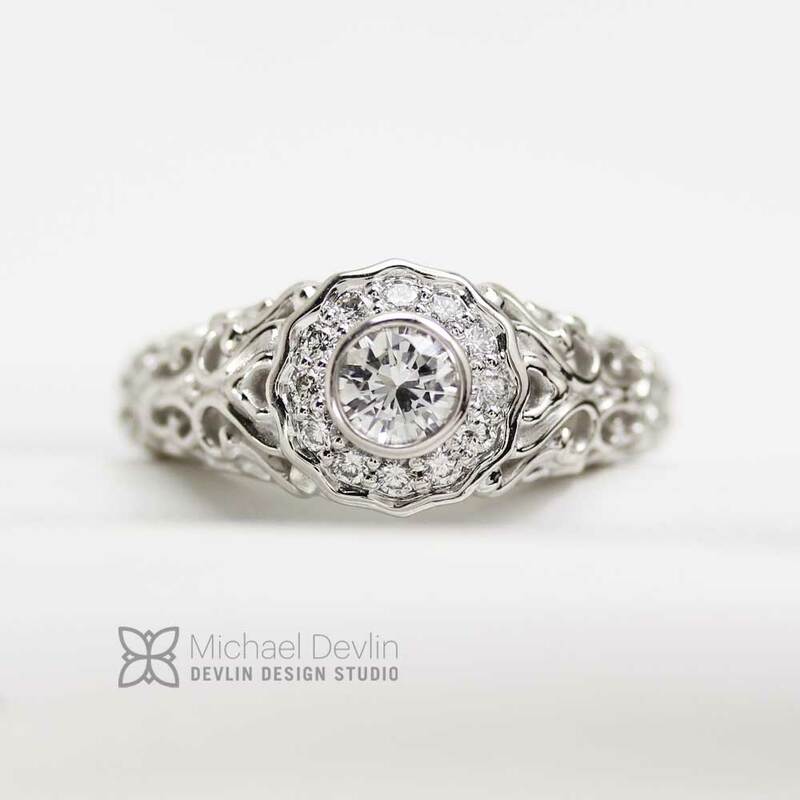 I asked way too many questions, went back and forth on several details about the ring and sent messages up until the very last second and yet -- he was timely and polite every single time. I highly recommend his work. He is extremely knowledgeable and professional. 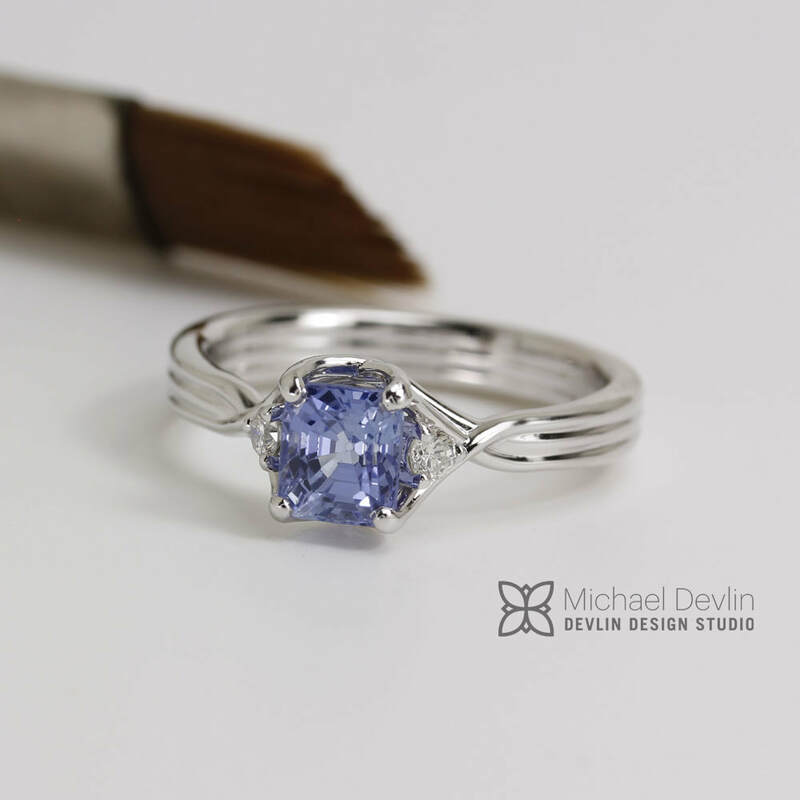 My boyfriend and I had the ring made in honor of my boyfriend's brother, who passed away a few months ago. The ring means a lot to my boyfriend. And it means a lot to me that it was made beautifully to our vision. Abe B's "Family Crest Pendant"
This was a first for me. 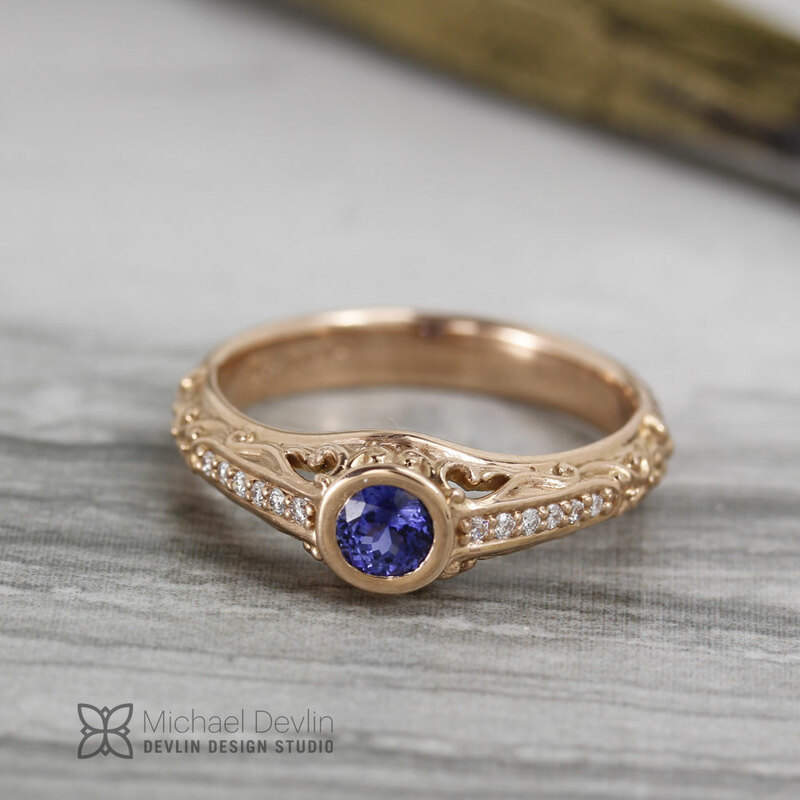 Michael made it easy for me to get my design turned into reality. Easy to work with. 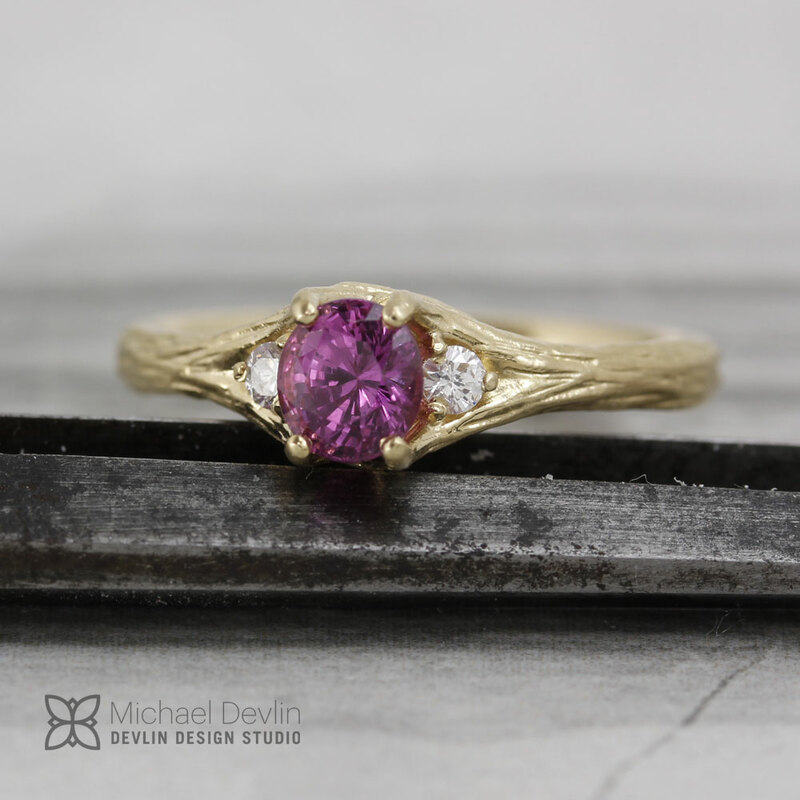 Pink sapphire twig style ring with diamonds set in 14k yellow gold. In stock items are available for online purchase in my Etsy store. 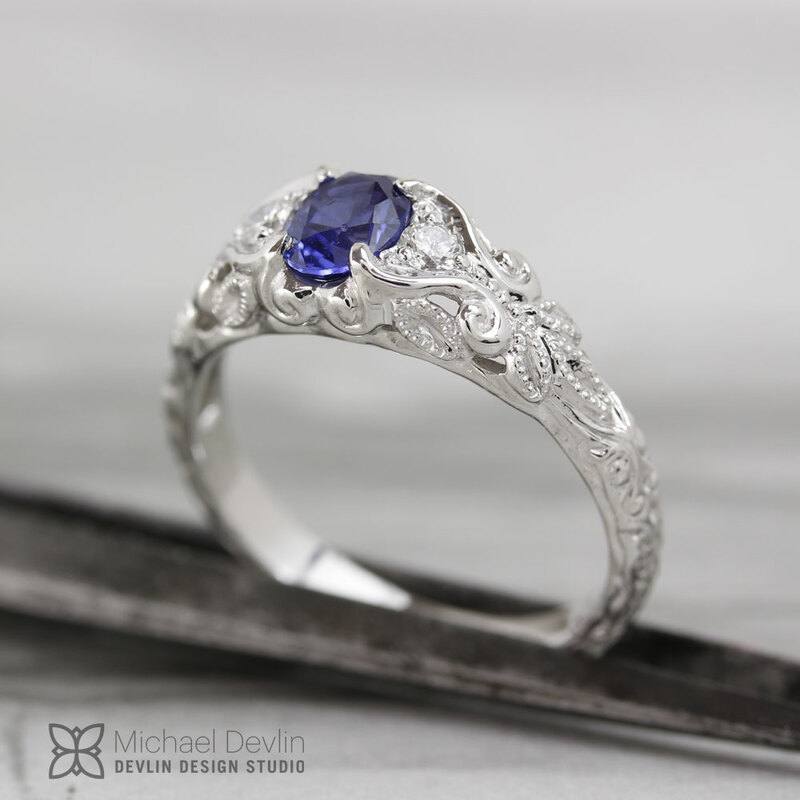 Local clients can come by for a Studio visit to review any designs in person. 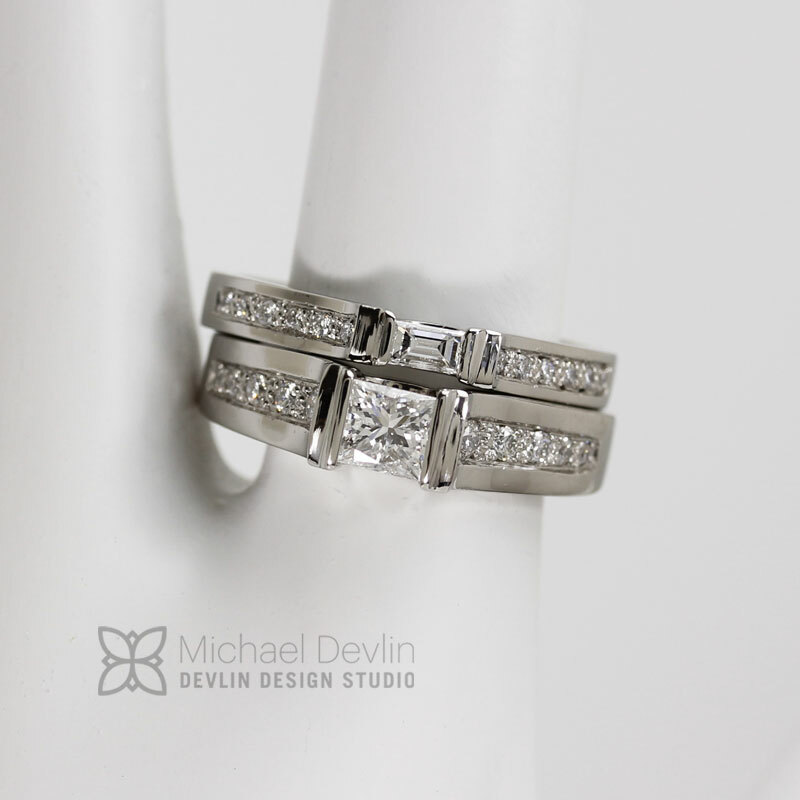 Or to discuss custom jewelry and jewelry repairs. 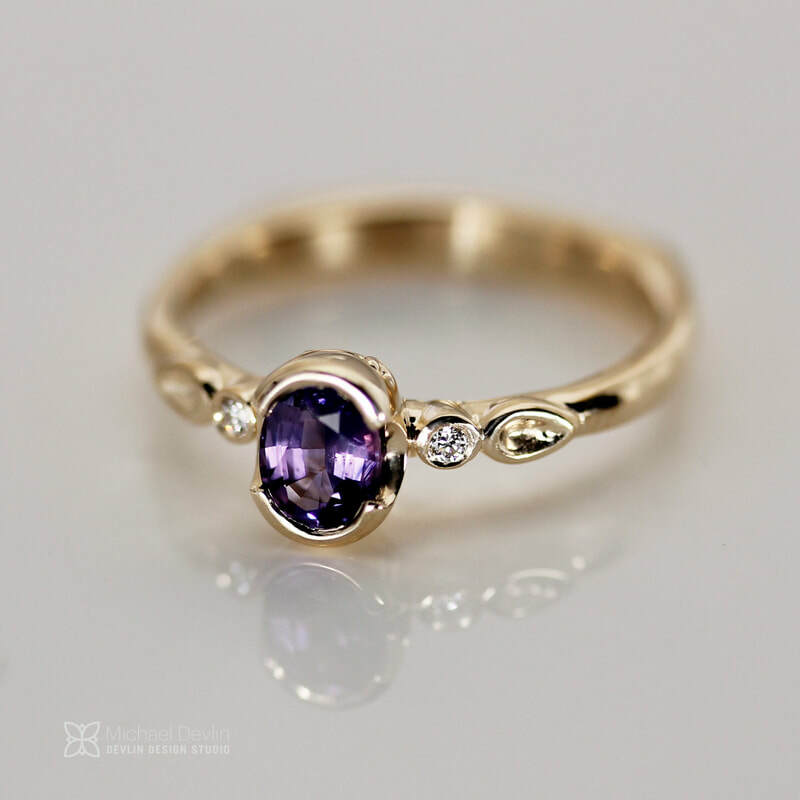 Purple oval sapphire set in 14k with diamond and leaf accents. 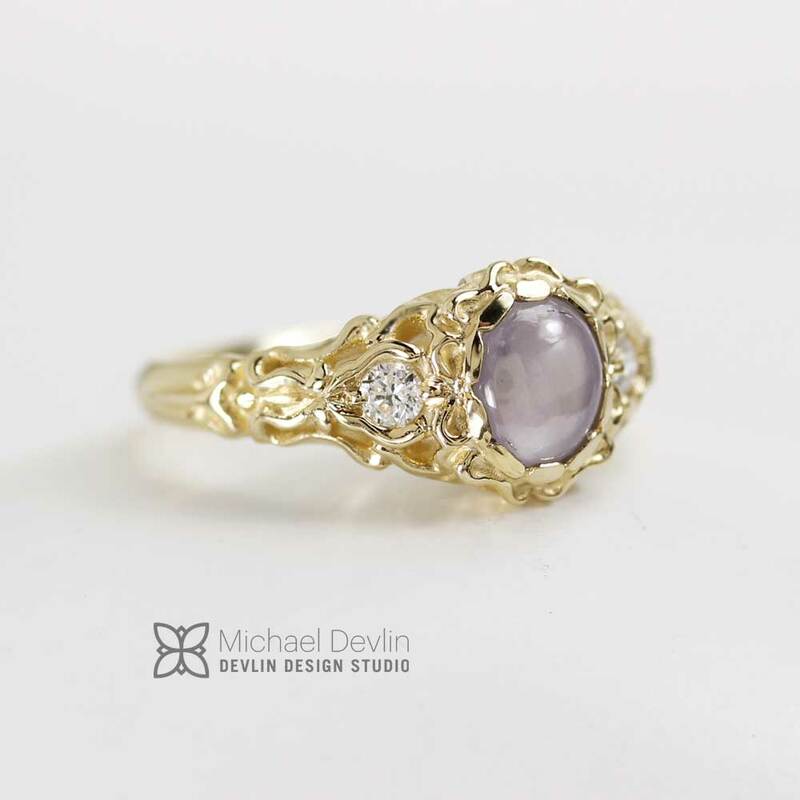 star sapphire ring with diamonds, sculpted design.